We have 9 ensuite spacious bedrooms of various designs and all are tastefully decorated to a very high standard. We have Double Rooms, Twin Bedded Rooms, Triple Rooms and Family Rooms. All rooms have Free WiFi, DD Tel., RC SAT TV., Alarm Clock Radio, Hairdryer and Tea/Coffee making facilities with complimentary biscuits daily. All ensuites come equipped with all your toiletry needs. 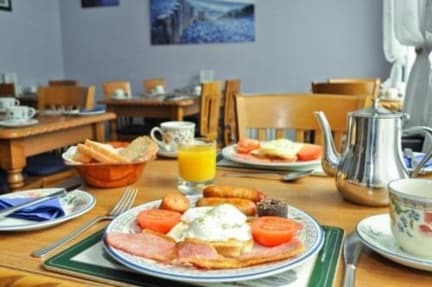 A spacious dining room helps you start the day and we offer a wide choice from the traditional Full Irish Breakfast to the Continental choice. There is Free WiFi in all common areas of the Guesthouse and an on-line computer and printer available for guests use. 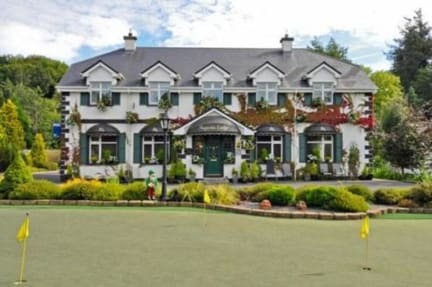 Within its own landscaped gardens there is an allweather synthetic putting/chipping green on site for guests use.